Create an Artisan-quality grilled flatbread at home with this easy to follow recipe & prep-ahead tips. 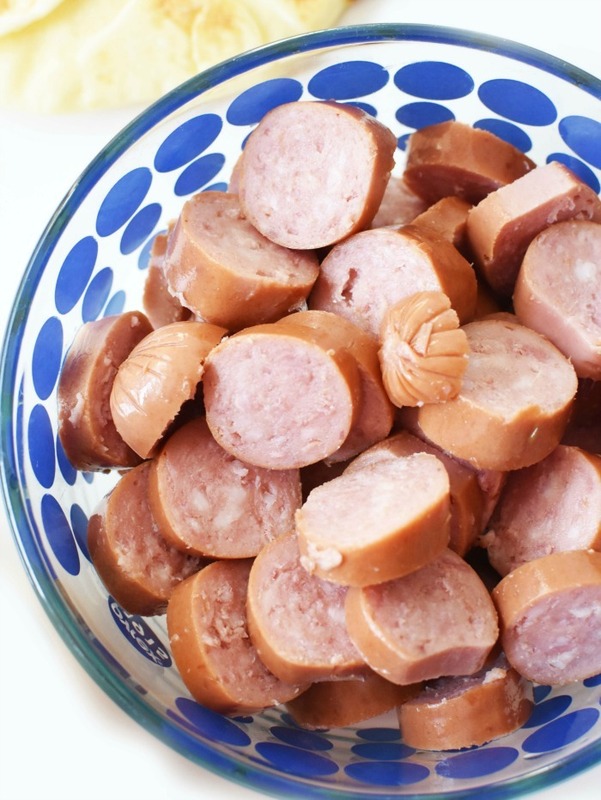 This is a sponsored post written by me on behalf of Eckrich Smoked Sausage. Summertime is all about enjoying the sunshine outdoors. 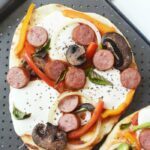 One of my favorite ways to do that is by enjoying my new grill to make easy, but tasty recipes like these Grilled Sausage Flatbread Pizzas with Onion, and Peppers. They are quick to make which is perfect for my family! When it comes to the summertime, I feel like the days go by way too quickly once noon hits! Between busy schedules, work, and gym time, I don’t have much time to cook so I prep-ahead with my Eckrich Smoked Sausage. I love to cut up my veggies and sausage in the early morning and store them in airtight containers in the fridge for later in the day. That makes mealtime prep quick and efficient when it matters most! 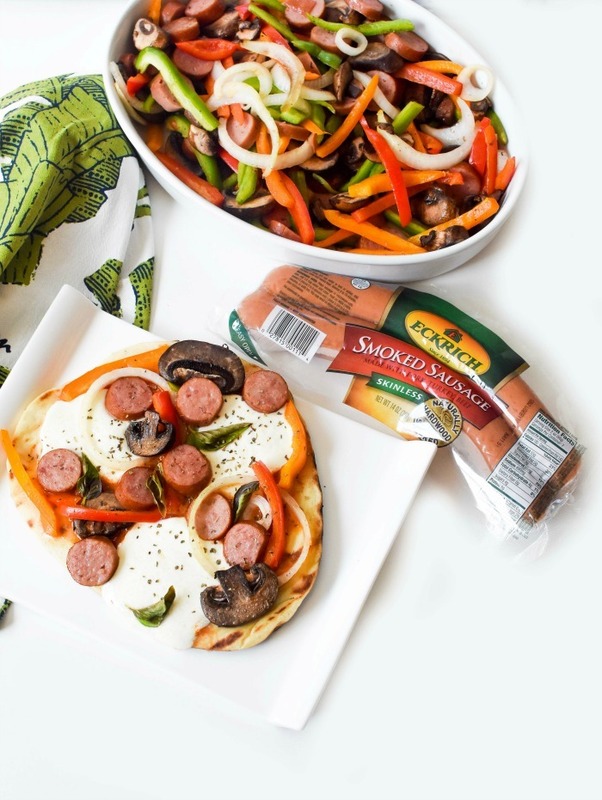 An easy tip when making these Sausage Flatbread Pizzas is to grill more sausage & veggies than needed. You will be thanking yourself later in the week when you can easily enjoy tacos or a sausage and veggie meal over rice. My kid’s favorite sausage is Eckrich Smoked Sausage. They love the softer texture, and naturally hardwood smoked taste, paired with the perfect blend of spices that come together to provide the best taste. 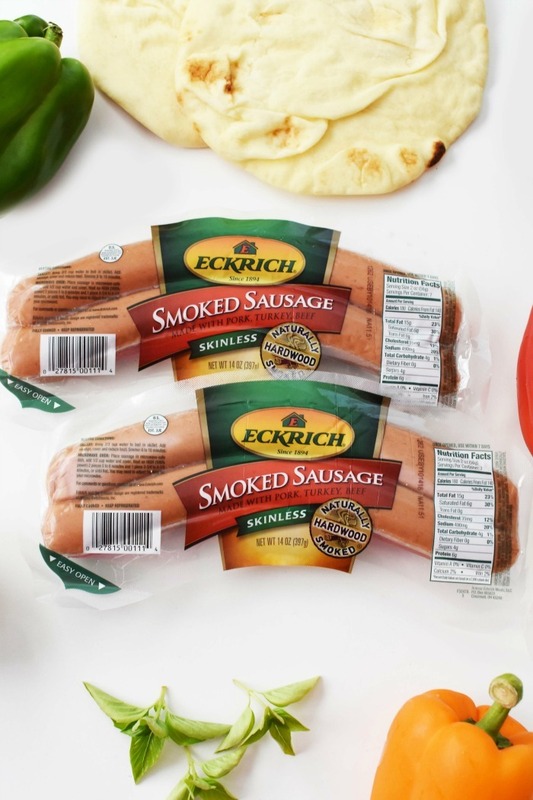 With Eckrich Smoked Sausage I can get dinner done because I know it is a no-fuss way to put a flavorful meal on the table quickly. It is so versatile and available in ropes and links. You can easily find it in the deli section at your local market. I love it on the grill in the summer because the grill flames really enhance the natural hardwood flavor which then melds into the veggies for a delicious combination. 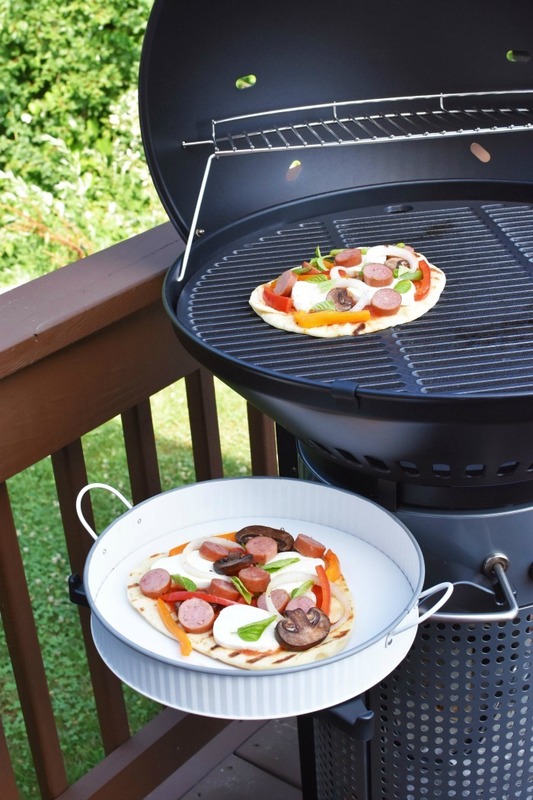 As mentioned, I love to grill more than I need for the pizzas because Eckrich Smoked Sausage reheats well. I grill the veggies until the just start to soften from the flames. The sausage cooks up quickly too, and usually gets a slightly crunchy outer skin that is pure perfection! Once the sausage & veggies are done, I place the extras in the fridge. I grill the flatbread for 1-2 mins to get the grill lines, and then it is time to assemble. 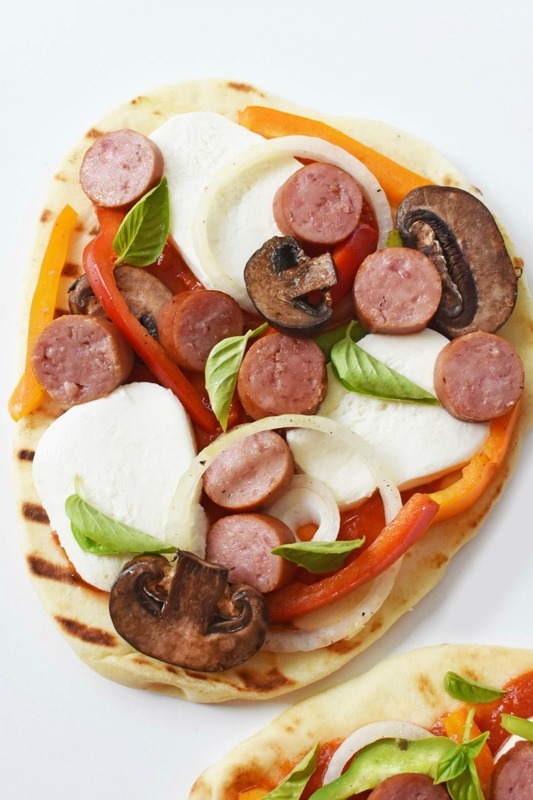 I add the marinara sauce, fresh mozzarella, mushrooms, peppers, onions, and Eckrich Smoked Sausage to each flatbread. 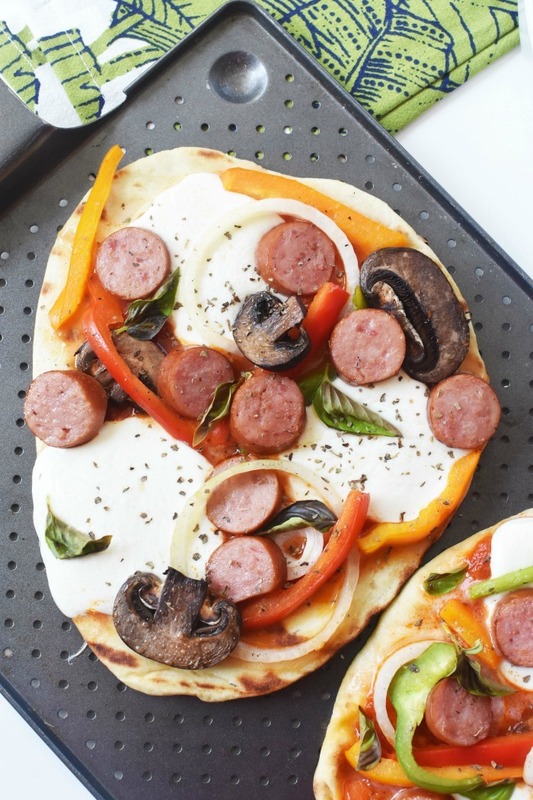 Simply place the completed sausage flatbread pizza(s) on the grill and cook them over indirect heat until the cheese starts to bubble. Once off the grill, simply, slice and enjoy! 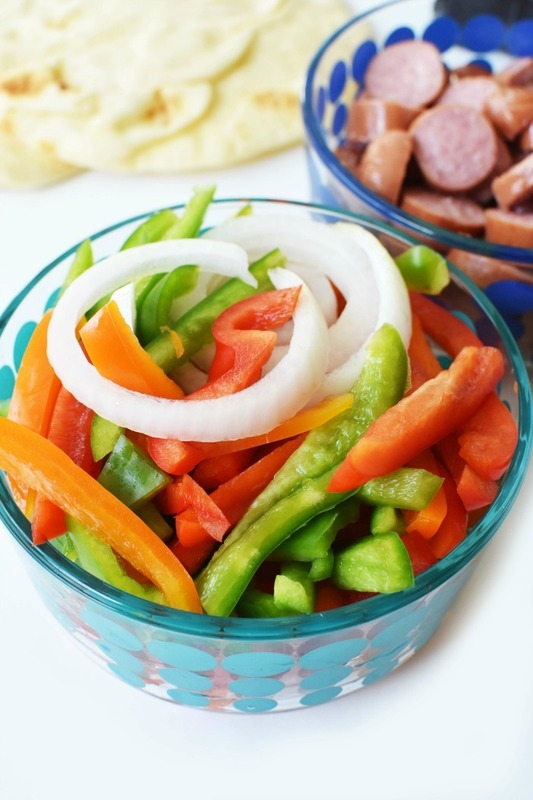 Make sure you make some extra peppers, onions, and sausage for mid-week dinners or lunches! 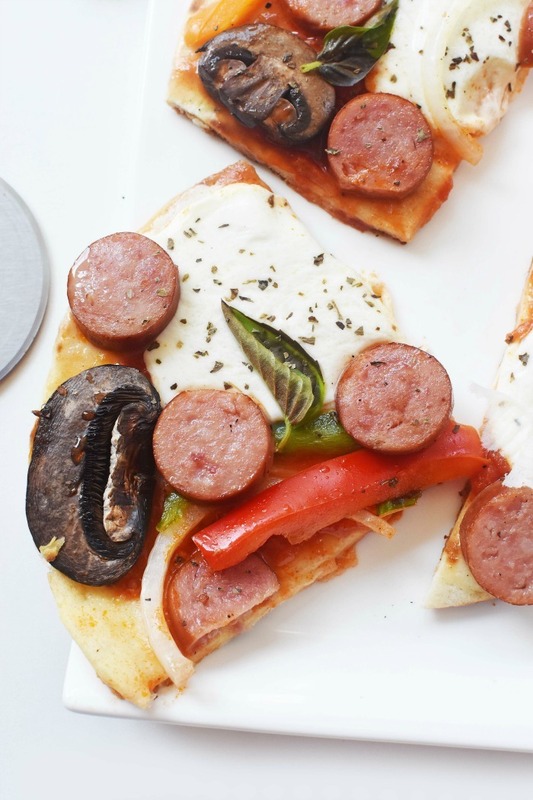 Want to make these Timesaving Grilled Sausage Flatbread Pizza with Onions, and Peppers? Get the printable recipe below! 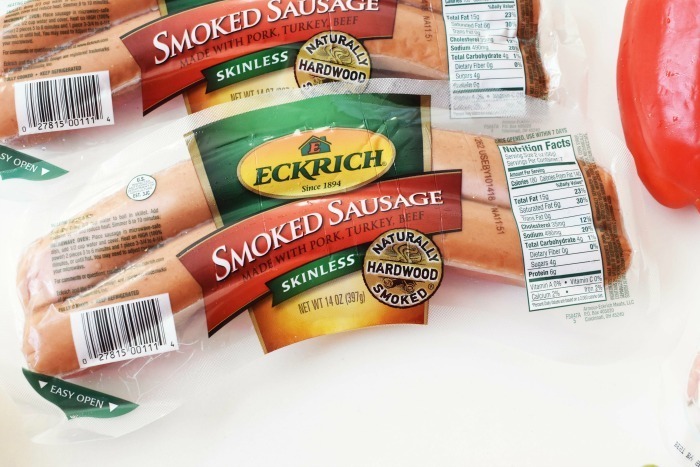 Be sure to look for Eckrich Smoked Sausage the next time you head to your local grocer. You can find it near the deli! For more info about Eckrich Smoked Sausage, as well as quick and easy recipes please visit www.eckrich.com. Create an Artisan-quality grilled flatbread at home with this easy to follow recipe & prep ahead tips. Clean, de-seed and slice peppers into thin strips. Slice Eckrich Sausage into 1/3" thick slices. I typically prep the above items ahead of time and store them in an airtight container in the fridge until I am ready to grill. It saves times! 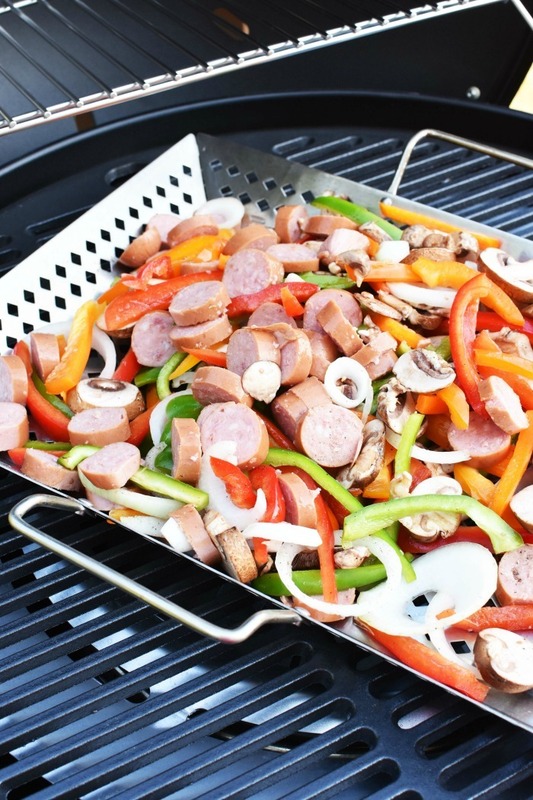 Once you are ready to grill, toss your sausage, veggies, and oil together, and place into a grill pan. Grill for 10 minutes-occasionally turning the veggies. You do not want them mushy, but cooked and slightly wilted. Once the veggies and sausage are done, remove from heat and set aside. Lower grill heat to indirect heat, and place the flatbreads on the grates for 1 minute per side; remove. 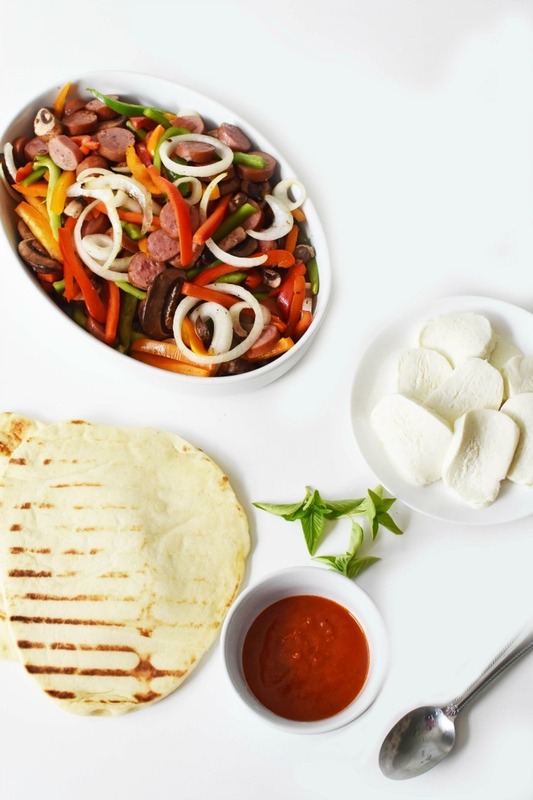 Assemble flatbread pizzas by adding a healthy amount of sauce, cheese, and toppings. Grill for 3-5 minutes on indirect heat. Remove from grill and enjoy. Remember to turn your grill off. 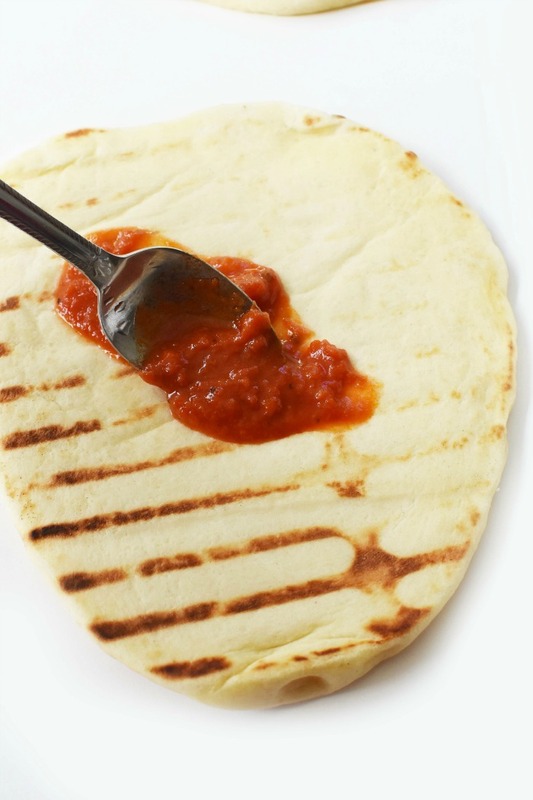 Keep an eye on the flatbread once on the grill to prevent it from burning. 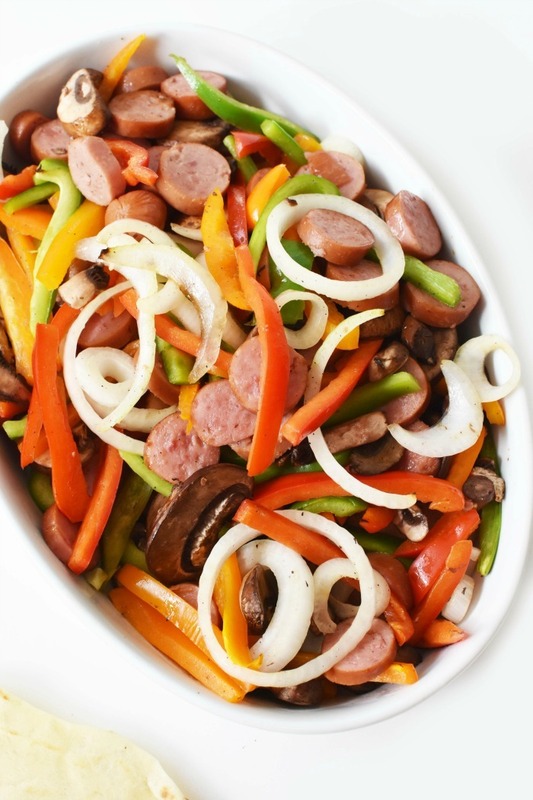 I always make lots of sausage, onions, and peppers to have on-hand for additional pizzas later in the week, or a quick meal enjoyed alone or over rice. I loveeeeee this pizza! 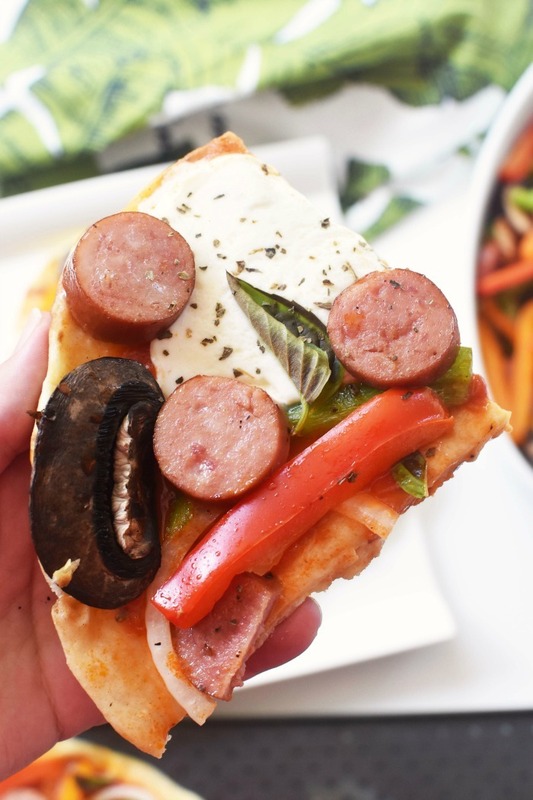 You have so many of my favorite toppings on there…well sausage and peppers that is. Yumm! Tasty and healthy is the best combination ever! I can’t wait to give this a try. I’ll have to have my husband make this the next time he busts out the grill. I love summer sausage! Ekrich Farms has the best sausage around. I love to use it in my recipes whenever possible. I’ll have to make this for our next pizza night. I love everything about flat bread pizza. The one you made looks absolutely delicious! I have never had Eckrich Smoked Sausage but I’d love to give it a try. This will be a sure hit for our next pizza night Can’t wait! Sausage and peppers is my absolute favorite! I am so making this recipe! I am inspired by this post. I should make flatbread pizza more often!